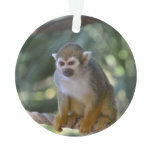 Inquisitive squirrel monkey sitting on a rope. 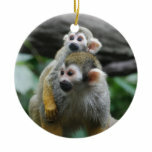 Cute baby squirrel monkey balanced on his mother's back. 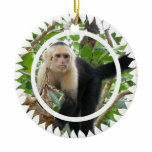 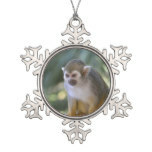 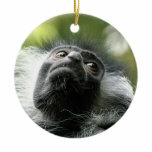 White faced capuchin monkey ornament. 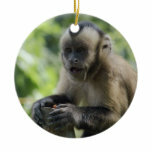 Cute playful capuchin monkey being silly. 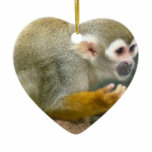 Adorable squirrel monkey up close and personal. 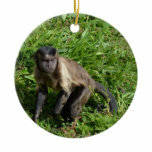 Capuchin monkey being playful and mugging for the camera.